January 24, 2019 | By John D. Binford, B.S. When you’re just starting out, avoid being the “jack-of-all-trades” at all costs. 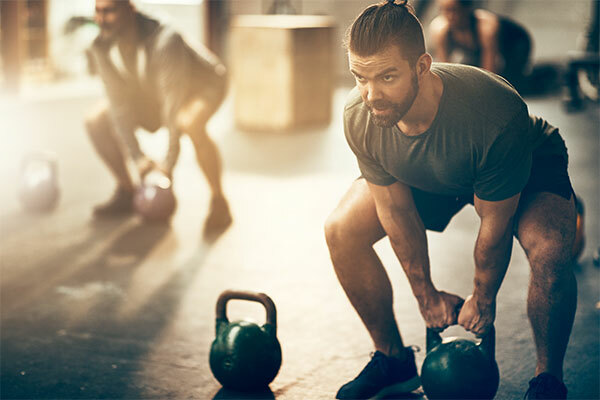 Sure, it may be tempting to take on any new client that comes your way, but trying to be a do-it-all personal trainer will slow you down on your business journey. Instead, become the go-to expert in a specific niche. This will help you narrow down your focus into a specific audience. Once you have chosen your niche, now you can go out and market yourself as the “expert” in that space. You’ll have much more prospects come to you when you’re the go-to authority in one specific niche. If everyone sees you as the go-to authority in a certain fitness market, you’ll have more clients reaching out to you than you’ll know how to deal with. That’s why it’s important to stick to just one niche when you are first starting out. The more targeted your niche, the higher chances that you’ll become known as an expert in that field. For example, instead of trying to be the go-to expert in the weight loss field, consider narrowing it down to becoming the expert in weight loss for people who are stay-at-home moms. Your USP is a business term for what makes you different from every other online personal trainer trying to grow their client base. When you’re just starting out, take some time to find a unique angle that separates you from the crowd. For example, you may have a strong personality that resonates with a certain target demographic. Or you could be the go-to personal trainer for people who follow a certain nutrition protocol like the ketogenic diet. The most important factor is to take note of what your strong points are and use that in your marketing to create your own unique selling proposition. As soon as you decide to become an online personal trainer, it’s important to build your brand right from the get go. Take a full day to strategize a plan for how you’ll position yourself in the personal trainer market. It’s also a great idea to develop a brand identity that stays consistent across all of your online platforms. This will help you establish trust with your future prospects and attracts the right clients directly to you. Your online personal training programs should cater to three different client types max in one niche. The only way you’ll truly be able to scale your business into six and seven figures is by creating templated programs that fit a select few client types. For example, your personal trainer business may only target men ages 21-35 looking to build muscle, women ages 21-35 looking to lose weight, and men ages 21-25 looking to lose weight. Social media is the best marketing tool for online personal trainer businesses. Once you’ve established your brand identity, you should be posting on social media consistently. It’s equally important to not spread yourself too thin during your social media marketing efforts. Try to only focus on just one or two platforms heavily and forget all of the rest. Facebook and Instagram are two of the most popular platforms for personal trainers that are great to start with. Knowing your target demographic is one of the most important factors when it comes to a successful online personal trainer business. You must figure out where your audience hangs out and spend most of your marketing efforts there. For example, if you’re targeting older adults looking to lose a few pounds, you may have better experience with spending more time in Facebook groups rather than posting on Instagram, which is more catered to a younger demographic. If you have the capital, investing in paid advertising will help you gain traction much faster compared to free methods. For example, Facebook ads allow you to target a very precise target demographic you’d like to work with. This is the fastest way to see results and start building a solid client base. Keep in mind that your clients can come from several different markets. You may find your ideal prospects can come from a completely unrelated industry like technology. Networking in multiple industries will help you get your new brand up and running before you have gained any credibility in the personal training industry. Making yourself known in the health and fitness industry is a great way to attract clients to your business. Browse the internet for smaller meet ups in your area and make it a part of your marketing efforts to attend both small and large fitness expos. There are thousands of online personal trainers just like you that may have just started their entrepreneurial journey. Reaching out to others that are in a similar path will allow you to piggyback off each others current customer base. It isn’t uncommon for people to refer their clients to personal trainers they trust in the case of events that they don’t have time to take on anymore new clients. Ask for referrals or recommendations once you’ve developed trust with people in the industry. Affiliating with other online personal trainers will give you the additional exposure you need to get your brand up and running. People can be very hesitant to try out a new service, especially when you are still a beginner in the field. A great way to gain people’s trust is by offering your a free trial period for a week or two of your service. Getting them results during the trial period will turn them into clients who stay with you long-term. Influencers in the fitness industry can be the key to unlock an endless amount of clients for your online personal trainer business. After all, they have access to thousands of future prospects that may be interested in your services. It’s your job to reach out to these influencers, gain their trust, and prove to their audience that you can get them the results they’re after. But don’t ask them right away if they can share your services. It must be a mutually beneficial relationship. Some influencers will charge you a fee to promote your services which can be worth it if they’re in the same fitness niche as you. If you don’t want to pay influencers, try to find a way to provide value to them in exchange for mentioning your services to their audience. Launching limited time discounts and offers will give future clients a sense of urgency to start working with you right away. Consider timing your discounts around the holidays and make sure they are legitimate. Meaning, if you’re going to host a discount “for a limited time” – it must actually have an end date. While social media is an extremely powerful marketing tool, nothing is more powerful than simple word-of-mouth referrals. After all, people trust the recommendations from friends and family more than strangers on the Internet. A great way to get positive feedback from others is by offering your services for free in exchange for referrals. Tip: Consider giving people 20% commission for every client they refer to you. This incentivizes them to send as many people as possible your way and everyone benefits. There are tons of different online services you can use to manage your work more efficiently while showing your clients you’re the real deal. Consider using services like Trainerize or My PT Hub which acts as an all-in-one solution for your business needs. These types of software come with customizable training programs unique to each client and helps you track their progress every step of the way. Everyone has a different personal training style. Creating an exercise database will help you streamline your specific exercise regimen so you don’t have to start from scratch each time you get a new client. There are also tons of software programs that have built-in exercise databases that you can use with your clients. Find a database that has all of the exercises you are giving your clients so you can systematize your process. If you want to take it a step above, create your own exercise demonstration videos to give to your clients. This gives your clients a personalized feel and will help with client retention. The health and fitness industry is in constant flux. If you want to be known as the authority in the field, it’s crucial to stay up to date with the latest information and trends going on in the market. It’s equally as important to maintain maintain continuing education credits so you and your clients know you are up to date with the advice you give them and properly certified. Tip: Subscribe to newsletters from other personal trainers to see what’s working for them. It’s much easier to catch the latest trends if you are regularly checking up on what your competitors are doing. A high converting website should have a direct call-to-action for your services, fast load times, and should intrigue future prospects to use your services. It’s important that your website showcases you as an “authority” in the industry you’re in and demonstrate that you’re the solution to their current fitness problems. Tip: Look around at other websites in your specific market and try to create a website similar to those who have a successfully converting website. You’ll often hear people saying, “the money is in the list” – no matter what industry. Start building your email list from the beginning as it’ll become one of your greatest assets as a business. Once someone is on your list, you can promote your services to them regularly. This gives you several opportunities to convert them into a customer. Gaining new clients is one of the most difficult and time-consuming aspects of your online personal training business. Once you’ve won them over, it’s your responsibility to go over the top and help them get the results they’re after. Going above and beyond to help your clients reach their fitness goals is the best way to keep clients coming back for more. Your goal is to keep as many clients on retainer so you can spend more time growing your business in other ways rather than focusing all of your efforts on gaining new clients. Your first few sessions with your clients may fail miserably. This is completely natural as a beginner online personal trainer. In fact, there’s a good chance you’ll lost your first few clients. Don’t be afraid to experiment with different methods of training until you find something that works best for your business. Failure is inevitable as a business owner and it’s your job to keep pushing forward even when times are tough. The online personal trainer industry is growing at a tremendous pace. If you want to separate yourself from the crowd, you must do everything in your power to prove to your prospects that you are the go-to expert in your field. Focus on getting your clients the results they’re looking for to keep them coming back month after month. Client retention is one of the most important aspects to become successful in this industry. Following the strategies laid out in this article will help you establish a lucrative online personal trainer business in no time.